We're Stacy and Sonia Geny, your local natural farmers in Joelton, Tennessee. We are passionate for sustainable tasty agriculture, GMO and chemical free. We believe in good hard work, healthy dirt, and nutritional produce ALL without non-organic chemicals or pesticides. Feel free to set up a visit to our farm to see how we grow your food. Together we can make a difference in our tables, our markets, our land, and our lives. God bless! We are passionate about sharing small family farming with you. 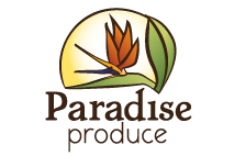 This video introduces you to the heart of Paradise Produce. Come see our lives and see a way of life preserved.